I am an optimist. But let’s face it, the economy is rough, and we are not expecting any major changes overnight. That means we need to adjust to this new economic reality. At Distant Village, we have rolled out a new wave of sustainable packaging that also saves everyone money. We have listened to and responded to our clients’ needs. By reducing packaging costs from 40%-70%, Distant Village offers affordable sustainable packaging for upscale, gourmet and fine boutique products while maintaining strong alignment with premium quality, brand-building packaging. We give the credit for this cost-saving innovation to our customers. Earlier this year, we surveyed a cross section of our clients and asked them about their 2012 packaging needs and goals. We also asked them how we might contribute toward their success. I am pleased to share what we learned. We still need the same volume of packaging. We need to retain our quality image with quality packaging, at lower costs. We need to have lower minimum order quantities. We do not want to compromise our sustainable mission, if possible. 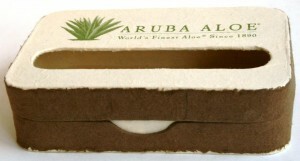 The Leader in Low-Cost Sustainable Presentation Packaging? Well, we do not exactly want to rename ourselves the Leader in Low-Cost Sustainable Presentation Packaging, but we did develop a new line of packaging that is up to 70% lower cost than our standard rigid box packaging. As you can imagine, it has been a great success. The best part of this new low-cost packaging line is there is no compromise on eco-friendly, sustainable or fair trade aspects. In fact, some may say it is even more sustainable. The new line of economical packaging carries wonderful sustainability advantages too! It lowers carbon footprints and shipping costs, and often requires less storage. 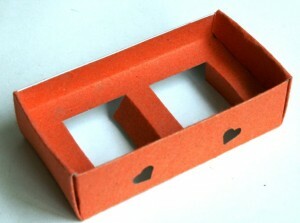 It also utilizes less raw material due to our innovative and proprietary paper-making techniques. This brings a wonderful eco-benefit of reducing waste and consumption. And if that is not enough, another very exciting advantage is that the process is highly scalable and allows for very large production runs into the 100,000’s and millions! Our gratitude and thanks go out to our loyal clients who have been working with us to contribute suggestions and find solutions that work for us all. And, of course, Distant Village remains steadfastly, 100% dedicated to our sustainable mission. As long as we keep working together, taking a long view and building quality relationships, we will get through these hard times together and become stronger. Distant Village continues to grow, and we are on pace for another banner year. Great breakdown of what the emerging trends in packaging will be in 2012 and how affordable packaging solutions are possible.